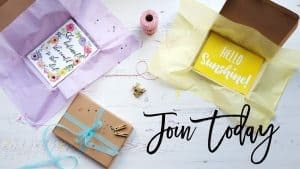 I always love this time of the month as it means that all of the new subscription boxes are delivered! One of the boxes that I always look forward to is Treatbox – I’ve loved so many of their previous boxes. The theme from the September Treatbox is unicorns which is such a cute and unique theme! 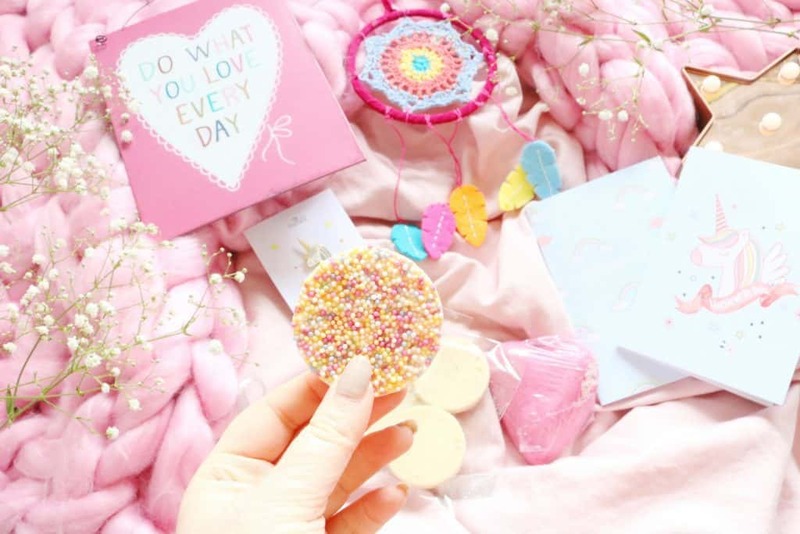 This months box contains such a cute range of products from the usual stationary and homeware to a bath bomb, an adorable pin and snacks. Every box I’ve received from Treatbox has been so nicely presented and packaged and this one is no different. Let’s start with the product that made the entire box smell amazing! The large sweet heart bath bomb which contains coconut flakes and smells so nice. To me the bath bomb has a sweet, fruity scent that I think a lot of people will love. Next up, a nostalgic inclusion as I used to love these in the 90’s – jazzies! However, these aren’t any jazzies as they are huge and to explain if you didn’t know, they are chocolate discs with sprinkles on top. While white chocolate isn’t a favourite of mine, I do still love these and they are very moreish. 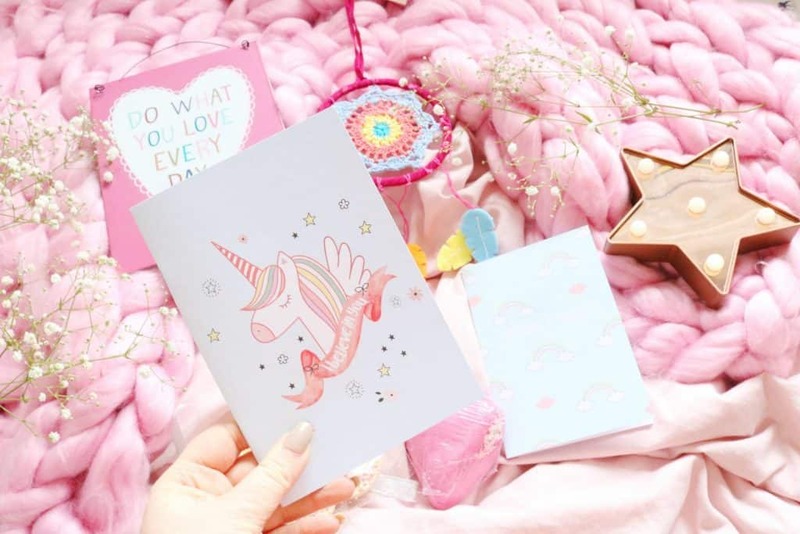 I’ll be honest and say that growing up I wasn’t one of those little girls who was obsessed with unicorns (I was more of a witches, mermaids and horses kind of girl) but I do think they are cute. There are two mini notebooks included in the September box, both of which are beautifully designed and you can never have too many notebooks! 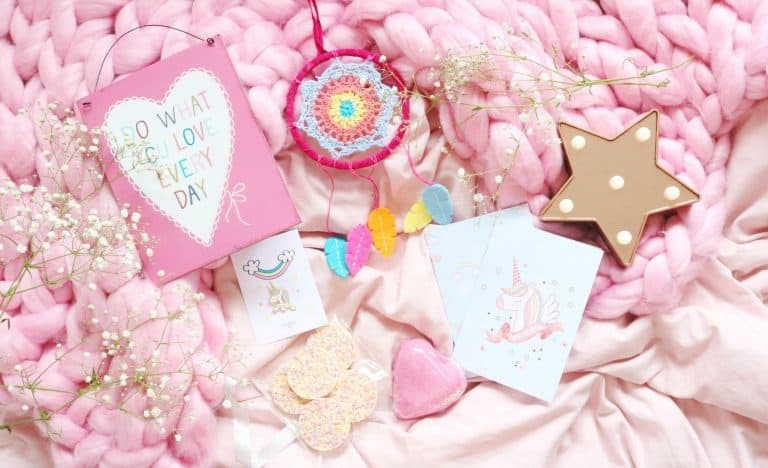 Now onto the homeware items from the box, I always forget to photograph the print and this one is extra cute as it has a unicorn on it as well as pastel stars! 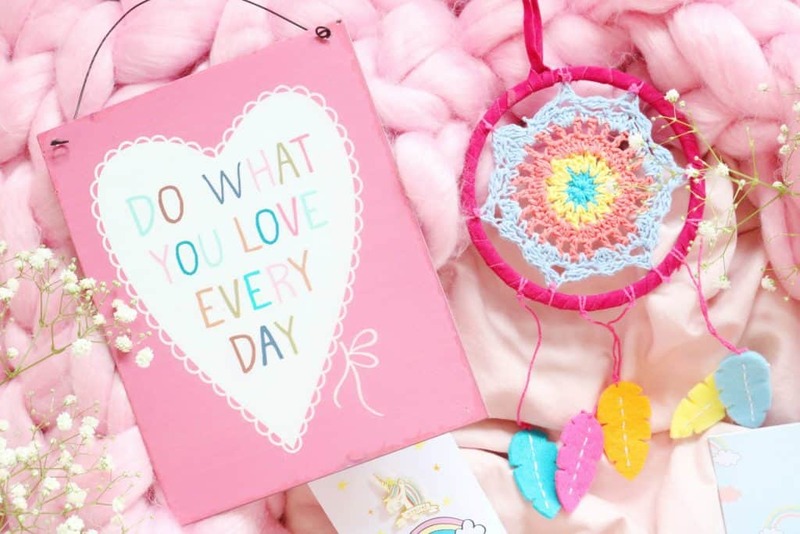 The sweet metal plaque is equally as cute as it has ‘do what you love every day’ printed on the front. I also love the design, quality and the colours. Also the unicorn pin from this months box is the cutest pin I’ve ever seen! I have a few metal pins like this and I’m not sure what I’m going to put them on yet but I think I might add them all to a bag as it would look so cute. 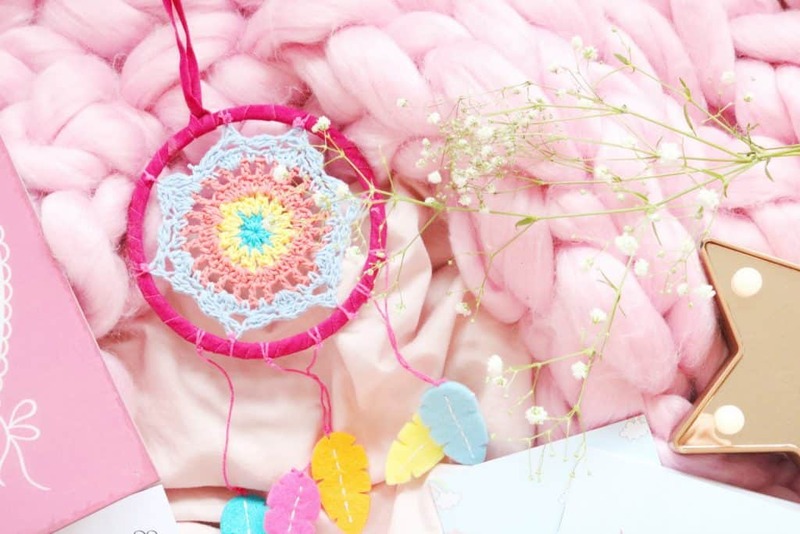 Lastly, another nostalgic item as I had a dreamcatcher growing up but this one is far cuter! It’s a colourful, crochet dreamcatcher with felt leaves, I think it will be a hit with so many. 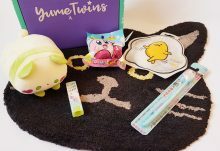 I think it fits so well with the theme for this months box, everything is so cute and colourful! 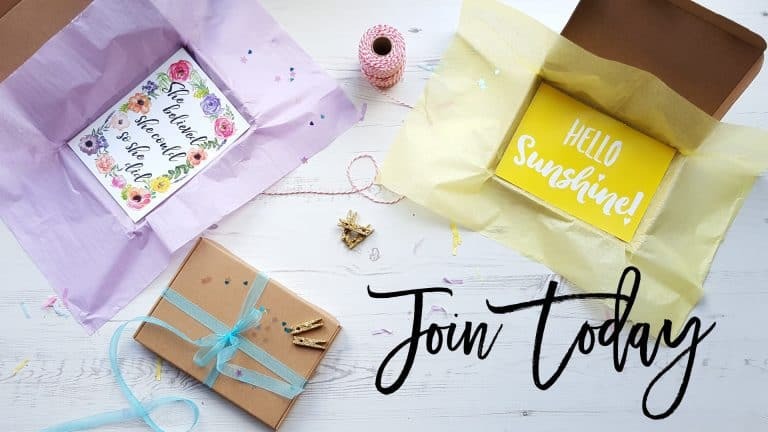 Overall, I don't think there has been a cuter or more adorable subscription box than this one! 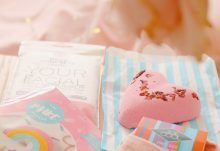 I love the bath bomb, pin and the notebooks as well as the delicious chocolates. 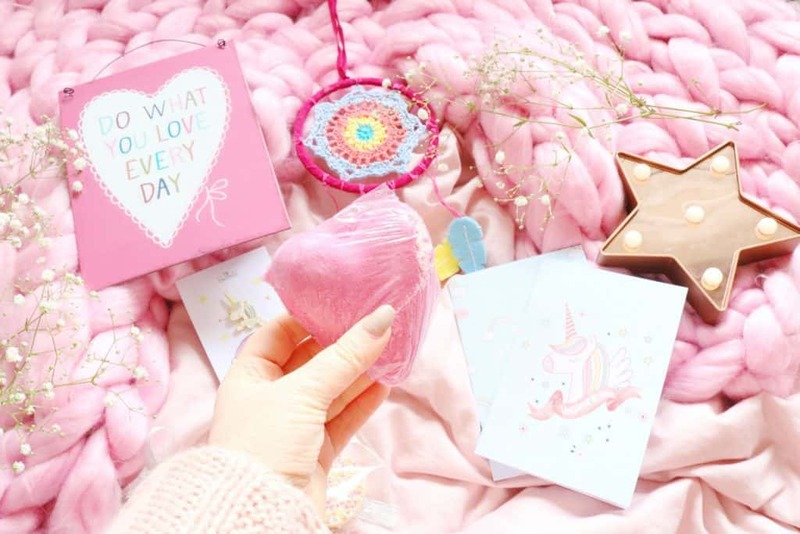 A perfect box for unicorn, magic or rainbow lovers!